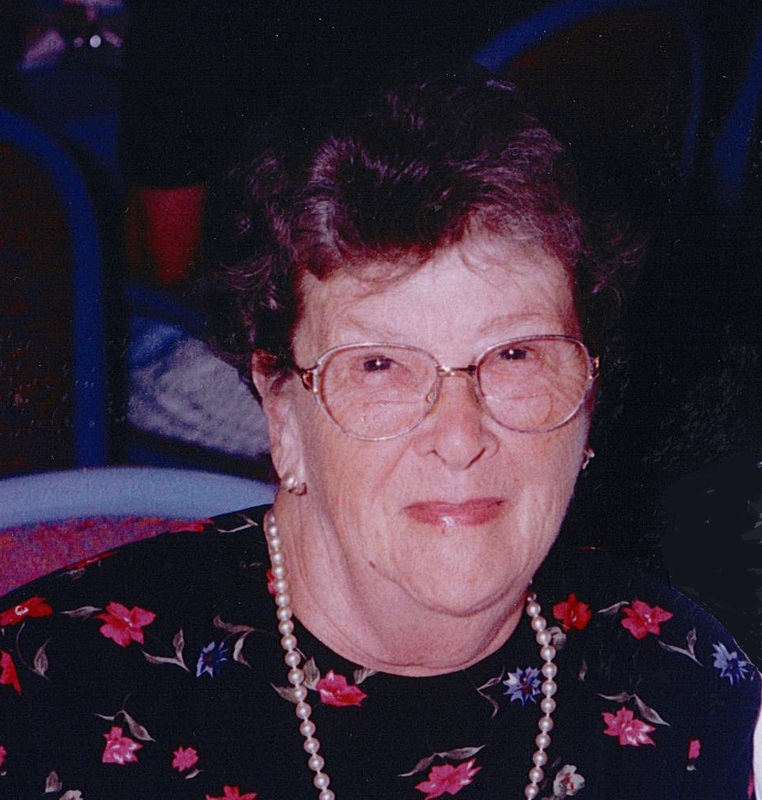 Lillian Patricia (Smith) Eglinton passed away in her 99th year at Sakura House Hospice (VON Oxford) in Woodstock, Ontario, on March 25, 2019. She was a lifelong resident of Stratford, Ontario. Predeceased by her beloved husband of 70 years, Arthur Eglinton (2008), a WWII veteran. Amongst many shared activities, both enjoyed travelling with many friends over the years. Also predeceased by her parents Elizabeth Sarah (Rich) Smith and Harry Smith, her brothers John (and twin), Harry, George, Alfred, Fred (WWII), William, Victor and sisters Rose, Elisa, Elizabeth Boon and Louise Cahill. Loving mother to the late Patricia Kydd (Tom), Barbara McNaughton (Kirk), and Rick Eglinton (Anita Vézina). She will be missed by her grandchildren Tom Kydd Jr. (Brenda), Karen Hill (Dave, deceased), Nancy McNaughton (Dave Dawson), Bill McNaughton (Shirley Welsh), Ken McNaughton (deceased), Renée Eglinton Sheri (Shaukat). Fondly remembered by her great-grandchildren Alex Hill; Mitchell, Cooper and Kylie Dawson; Stuart McNaughton and Jenna McGregor; Tasneem (Haziq Zawid), Jameel, Zakariyyaa and Junaid Sheri. Lillian also leaves many nieces and nephews. Lillian enjoyed knitting and donating her work to young mothers and charities. She remained socially active while living at McCarthy Place in Stratford, never refusing an invitation to Demetre’s Family Restaurant and many outings offered by niece Rosalie Edwards, caring friends Donna and Sam Ogilvie, and many others. We would like to thank the staff at Sakura House Hospice (VON Oxford) for their loving care and compassion. A celebration of life will be held on Sunday, March 31 at 1 – 4 p.m. at W.G. Young Funeral Home, 430 Huron Street, Stratford. In lieu of flowers, donations may be made to Sakura House Hospice (VON Oxford), 715180 County Road 4, RR 5, Woodstock N4S 7V9, or the Canadian Cancer Society www.cancer.ca.